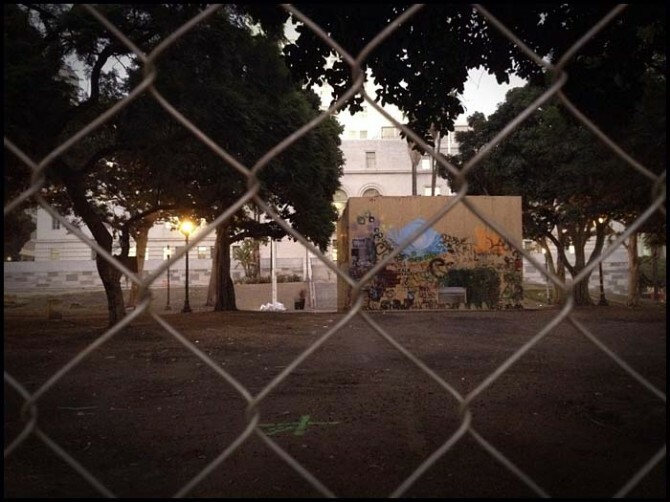 Here are back to back blogs just to make up for the silent treatment I’ve been giving you guys. My Instagram blog was just to promote myself on the photo sharing application. Self plugs on my own blog is always acceptable. Anyway, this blog is a good one. 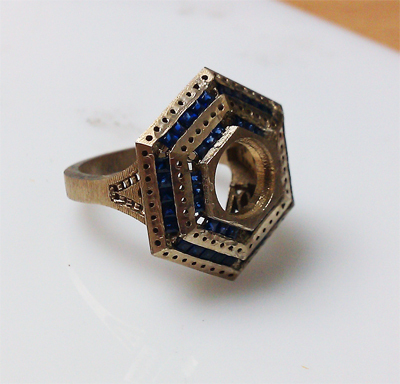 I’m going to share my experience making this custom men’s ring that I made from scratch. 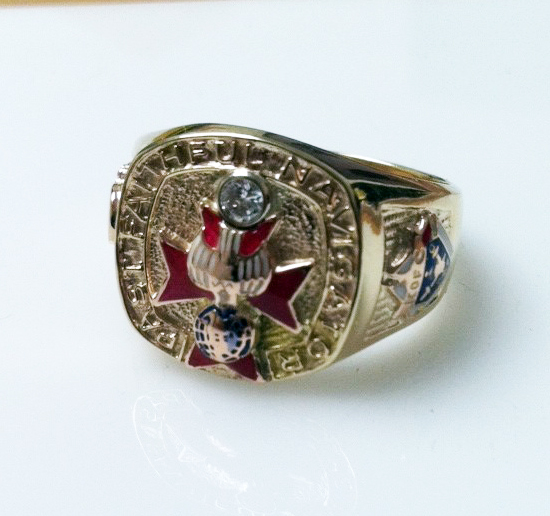 I get an email from one of my customers saying they need a size 11 men’s ring, custom made. So we get to talking and I ask for some ideas he had in mind. 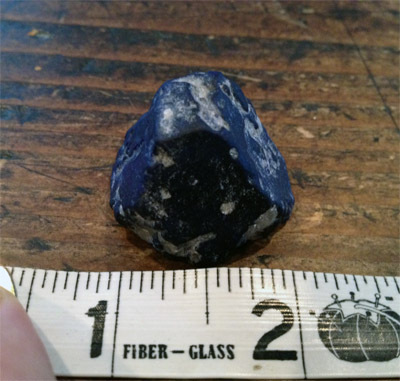 He first sent me an image of this Lapis rough that he’s had in his possession for many years. He wanted me to build a ring around this piece of rough. 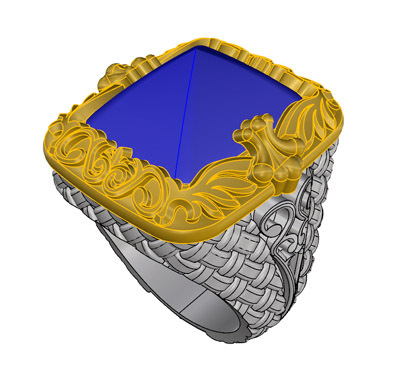 I asked him to send me some ideas he had in mind for the ring. He starts to send me some images and I started to get an idea of what he wanted. 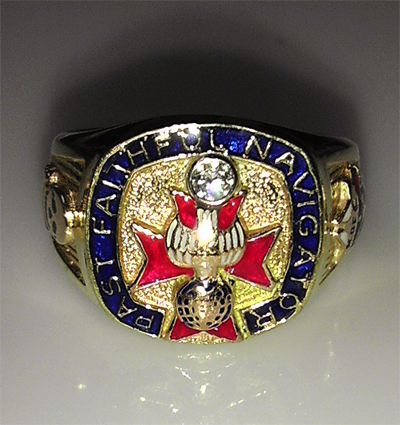 Most of his images that I received looked like this ring was supposed to be heavy. 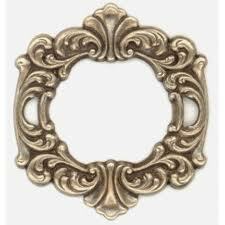 I received some more images of some filigree style designs you’d find on antique picture frames. So, in my head, I was like ‘Ok, this seems like a project that I’m going to enjoy’. 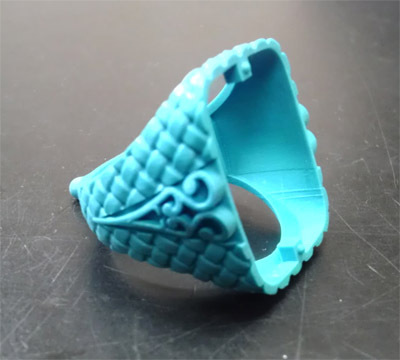 Jobs like this are fun because it’s on the jeweler to design freely without sacrificing the attention to detail that certain projects, like this particular ring requires. So I pull out my piece of paper and dust off the art supplies and I start to design. A little back story on how I became a so called ‘artist’. When I was a kid, my mother used to drag me to work whenever I was off from school and in order to keep myself busy, I’d animate. I was heavily involved with comics and that inspired me to duplicate drawings of Spiderman and classic characters like that. 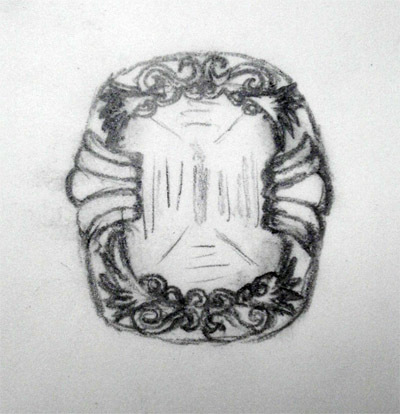 Anyway, so this is what I originally came up with as a draft for this ring. Here’s some close up shots of the ring. 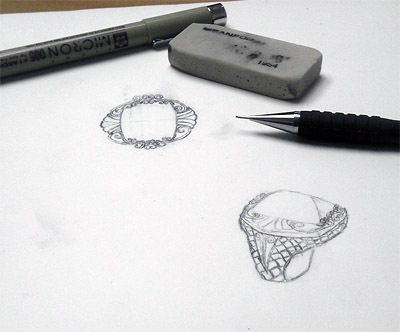 I gave my client a birds eye view and a 3D view of how the ring would look like. 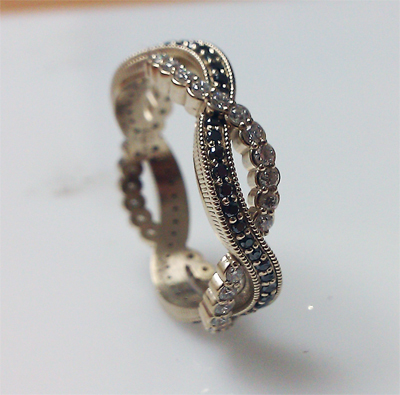 He loved it for the most part but he wanted to remove some filigree twirls and add some sort of pattern on each corner of the ring. 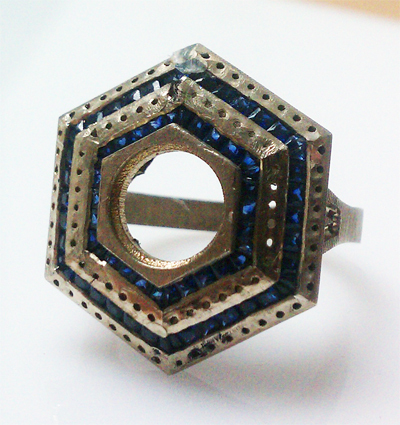 He also wanted the filigree to act like a setting and just sit on the stone. So I started to design an altered version of my original sketch. Like I said, a rough sketch. He loved the little winged sections on each corner and how I incorporated each little section to act like a ‘prong’ or a bezel so this stone could sit nice and tight. After he approved it, I started the process of bringing this piece to life. So I started the CAD process. ‘CAD’ stands for ‘computer-aided design’. 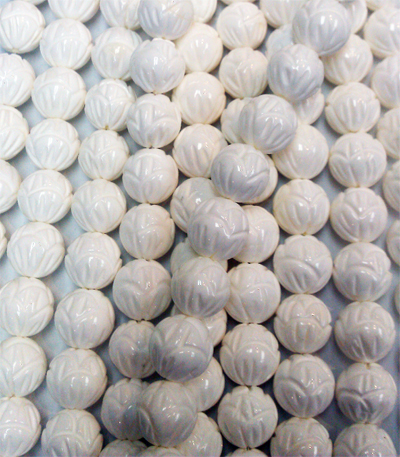 This style of designing a wax with the aid of a computer came into the business about 10 years ago. It’s more accurate and spot on with the angles. 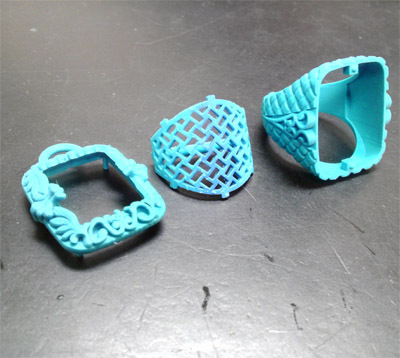 Anyone can CAD but some people that CAD, don’t really understand the jewelry side to things. You need to know why the section needs to be there versus just drawing something. You need to understand the math behind it before getting into the CAD business. It’s such a trip seeing your drawing come together like this, in CAD form. I went with a woven look to give some life to the shank. 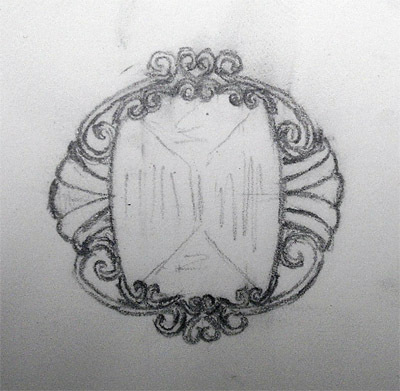 The customer loved my idea since I started incorporating it into my sketches. My customer loved the CAD and approved it. So my next step is to send this CAD file to the wax printing machine. These machines will grow the wax from the ground up. It lays down the foundation and starts to grow your file, layer by layer. 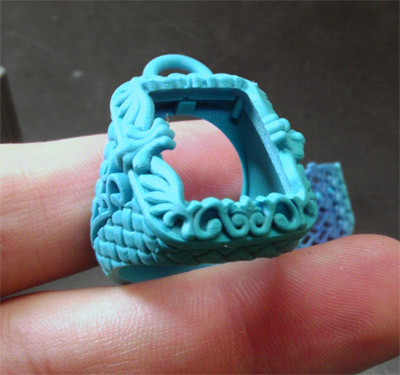 This ring took about 23 hours to grow. 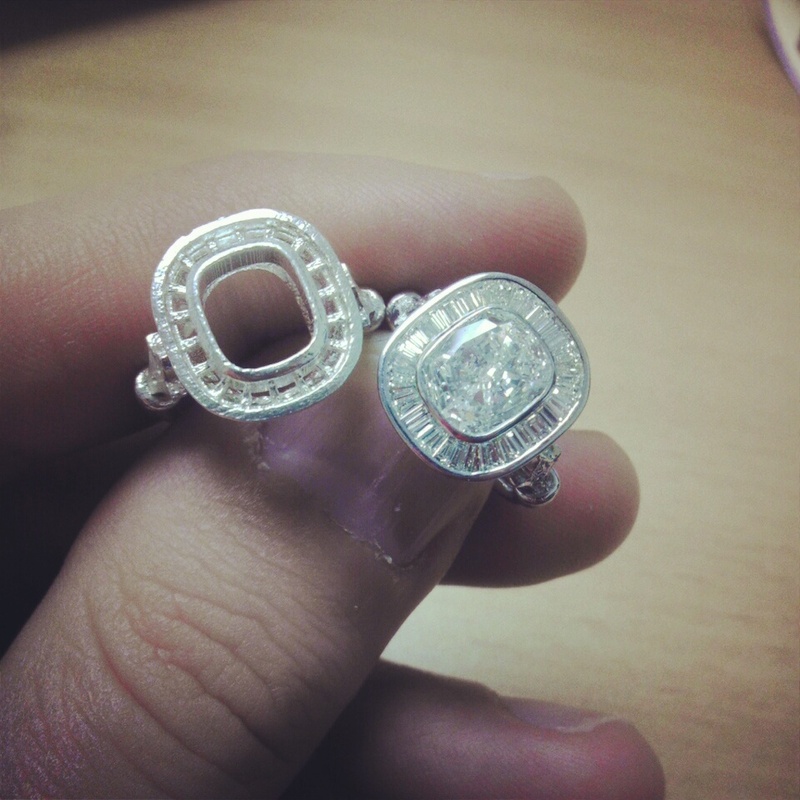 So you got the bezel with all the filigree work on the left, the gallery in the middle, and the ring itself, on the right, all ready to be casted. 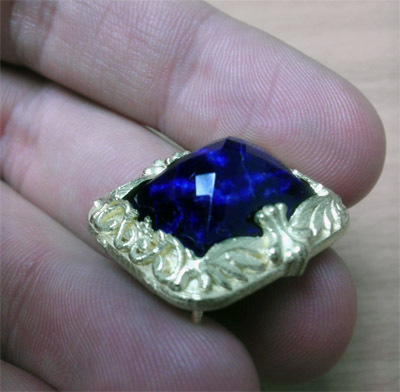 I made the bezel separate in order to fit the large Lapis, that I’m going cut, into the ring without damaging the stone itself. 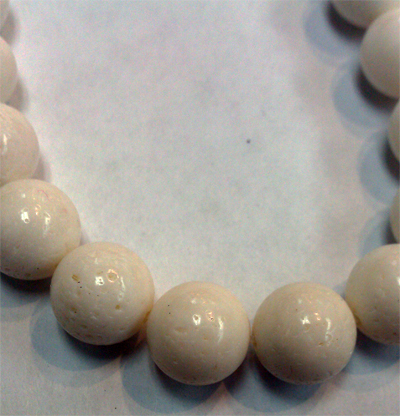 The stone has a few natural inclusions (cracks). 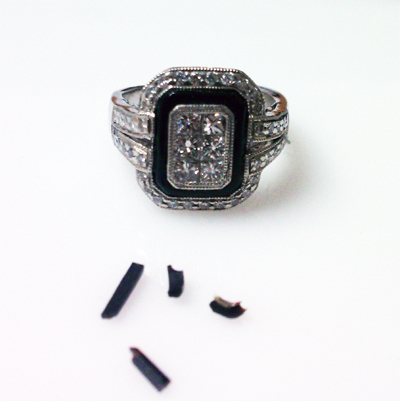 It’s not recommended to set into a bezel setting when you are dealing with a fragile stone. 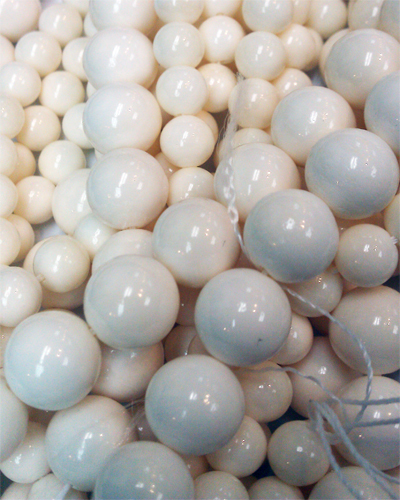 I showed the customer the wax that I grew, just to get him excited before I sent it to casting. 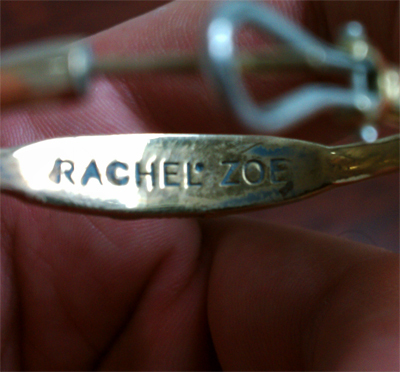 He loved it and gave me the ‘OK’ to cast it in 18 karat, yellow gold. The casting came out beautiful. But before I do any work on this, I’ll need to cut that Lapis rough into a cushion cut with a high dome and a checkboard cut. 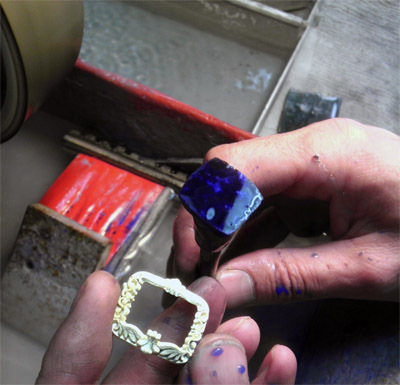 I started the process of shaping the Lapis into the Bezel. This is the final, ‘attention to detail’ portion where I’m getting the stone down to the millimeter in order to have it fit perfectly into the bezel. 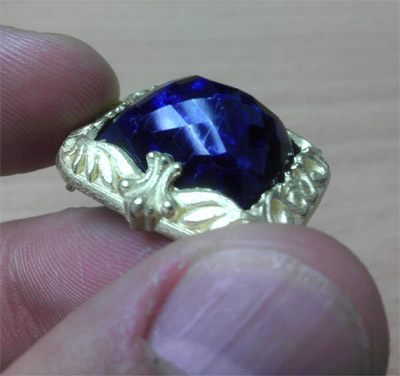 After sizing the stone into a cushion cut and shaping the domed section, I started to process of adding facets to the Lapis. 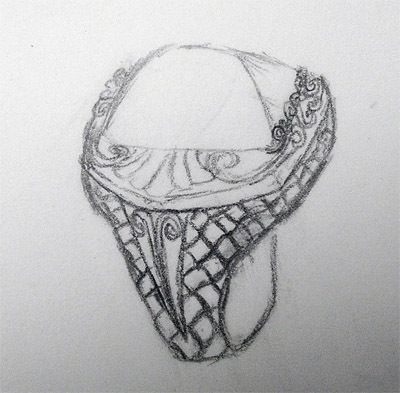 This is the finished look that I had envisioned in my head when I first thought about how the stone would look like on this ring. 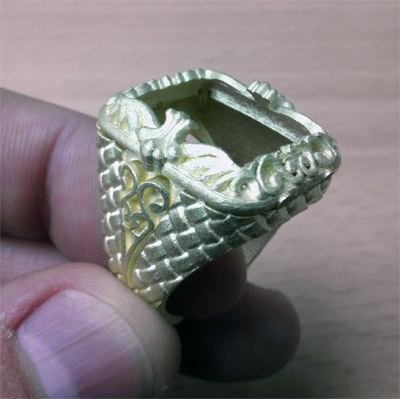 After doing some gold work and adding the polish and finish to this ring, I was impressed how this 35 gram, 18 karat monster of a ring, came out. 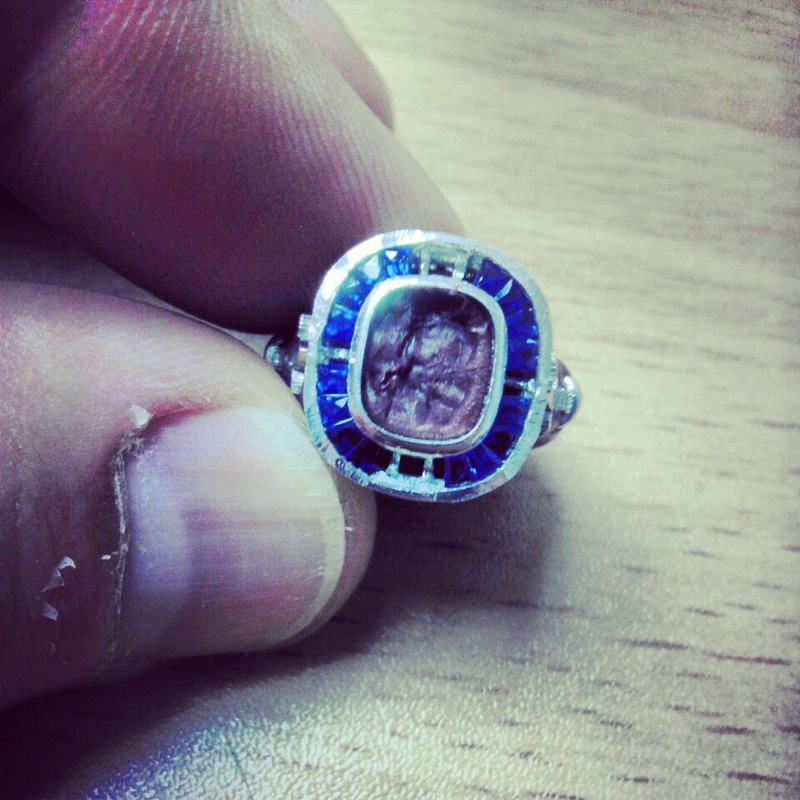 It sort of looks like a ring that would of belonged to an Emperor or some sort of royalty. 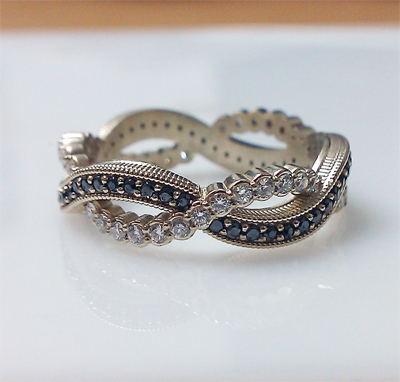 The woven design on the shank adds flavor to the big filigree work on the bezel. This was a fun project I must say. The customer was pleased with the results and he almost cried when he saw it. It brings joy to my heart, knowing that work like this is still appreciated. The age of social media has changed the landscape of how to get your product or service noticed. MySpace was great at first, but just took a dive after users had to deal with spam and junk. 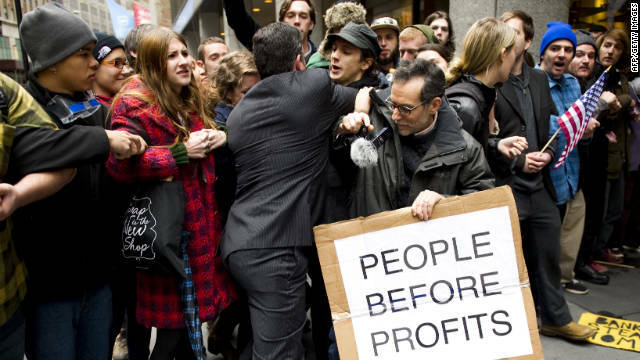 Eventually this pushed everyone to Facebook. Facebook was amazing at first and still is to a certain degree but I honestly haven’t been able to use it to get my work as a gem cutter or inlay lapidarist appreciated. So I started to blog my work and write about it, explaining the different processes of how much work is put into certain projects I deal with. I recount experiences with jobs form the labor to the end product. 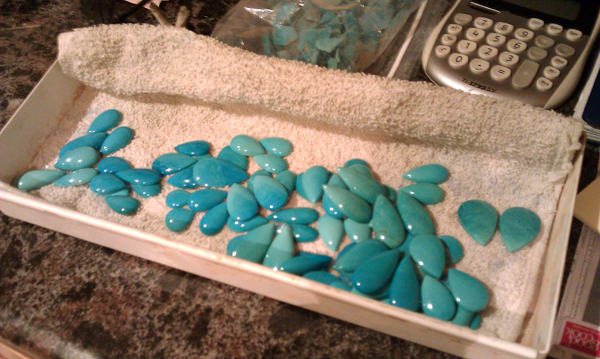 Sometimes I will even throw in a little background explanation on certain stones. I’ve got just enough info not to bore you to sleep. Then Instagram came into play. If you don’t know by now, it’s an application, which can only be accessed through your iPhone and Android devices. You take photos of your journey through life and share it with the rest of your friends. You get to see their pictures your friends put up as well. If you like the image, you double tap to like it and or leave a comment. So I started using Instagram to promote my business and it honestly works. It cuts through the bs that facebook creates on your wall. It’s honestly one of the best tools to promote yourself because it delivers quick, visual content to those who are interested. So this is me paying homage to a great social media application. 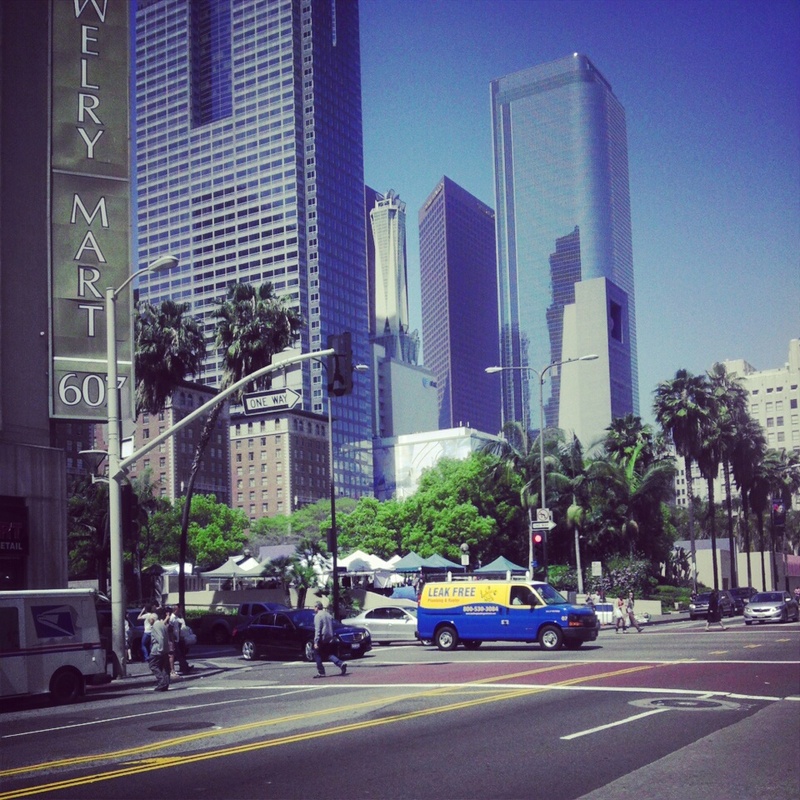 I’m sharing some of the photos I’ve taken using this wonderful app called Instagram. 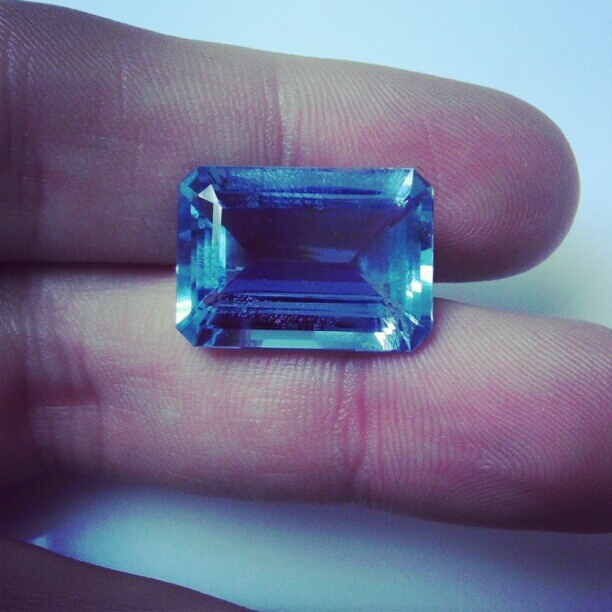 Emerald cut Aquamarine, Santa Maria color. This was one of my first ever images I upload on Instagram. 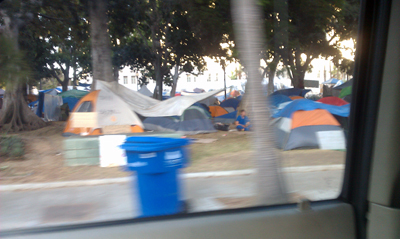 Downtown, Los Angeles. 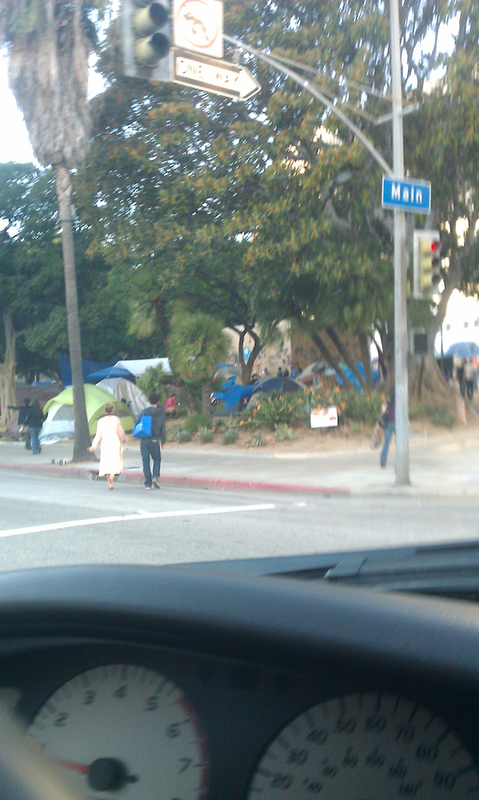 This is where I call home from 9-5, Monday through Friday. It’s always sunny and nice in southern California, for those who think it’s a myth. This piece was an intricate job that I had fun working on. Cutting a half cylinder black jade with grooves so the chains can sit in each channel. This is how your diamonds are cut. It’s a diamond cutters little mecca where that giant disk creates that shine all you boys and girls love. 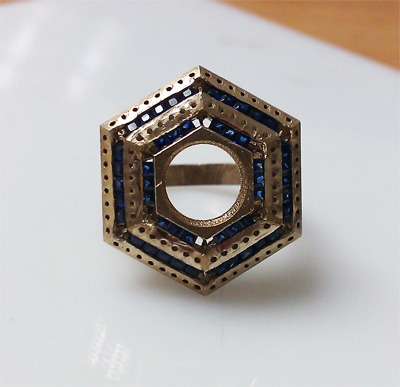 Made a matching duplicate ring where I’ll be supplying and cutting some taper baguette cut sapphires that go around the cushion cut diamond. 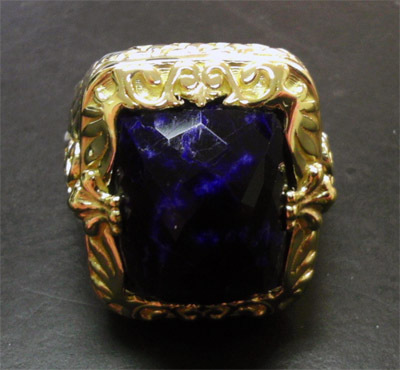 The ring is the same as the one in the above image, but with the sapphires almost set completely, and minus the bezel set cushion cut sapphire. It’s a step by step process when dealing with jobs like this. 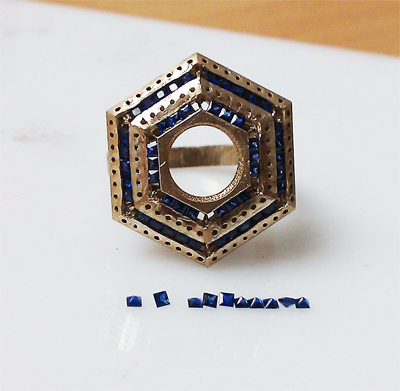 You have to cut a few sapphire pieces, have your setter set them, and proceed to the next few pieces. 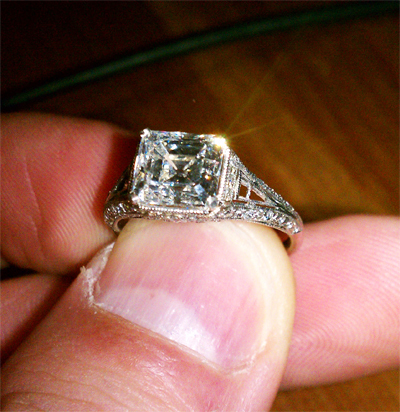 … and the cushion cut diamond is set into its bezel. 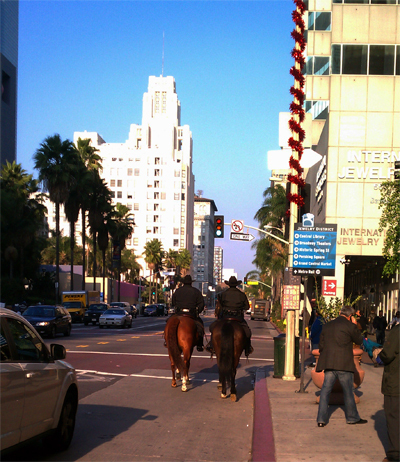 Typical Hollywood right in this picture. 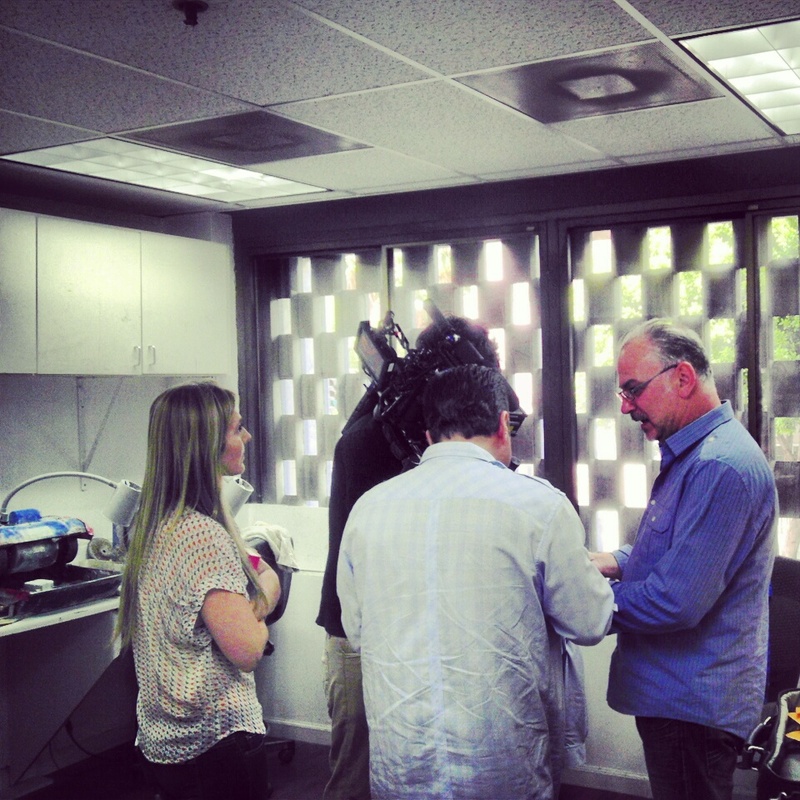 Filming a pilot for a reality tv show. My pops in blue trying to be the next reality tv star. 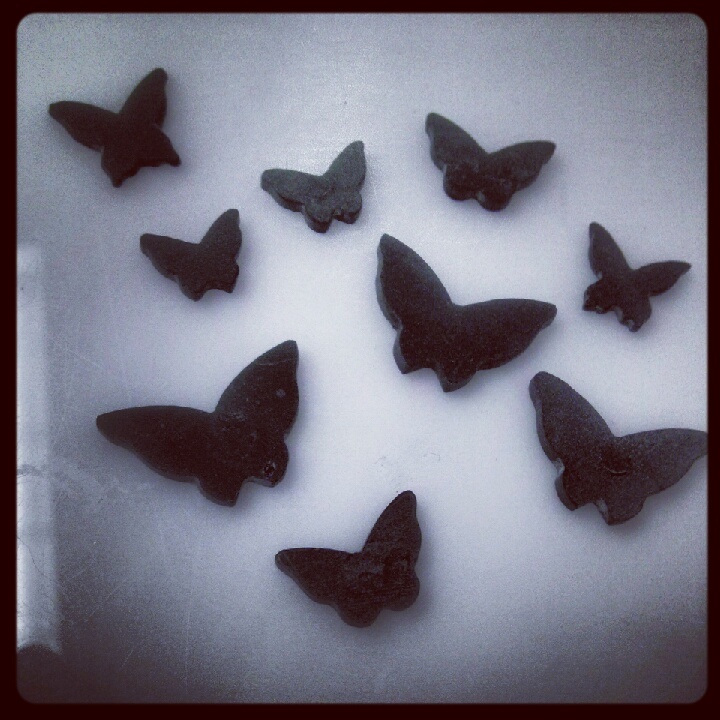 Butterfly shaped onyx pieces ranging in various sizes. 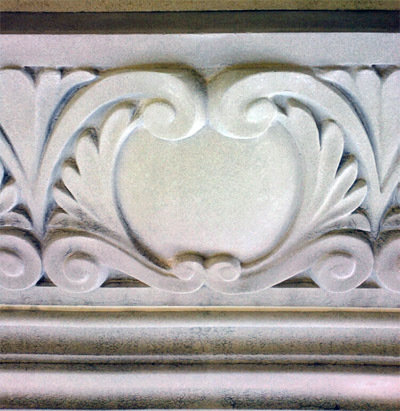 Attention to detail. 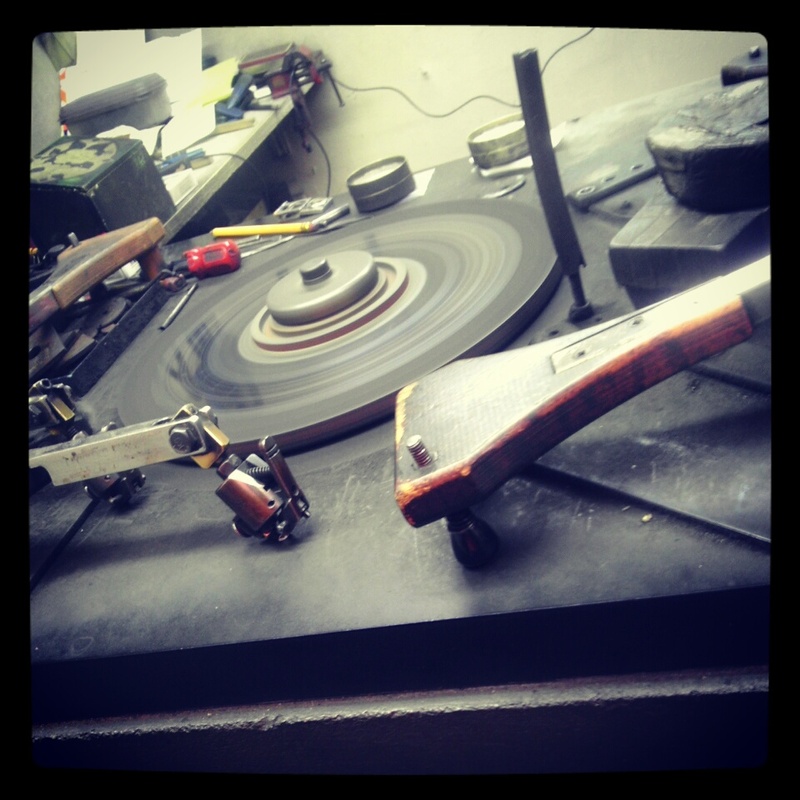 Doing a high polish on a piece. 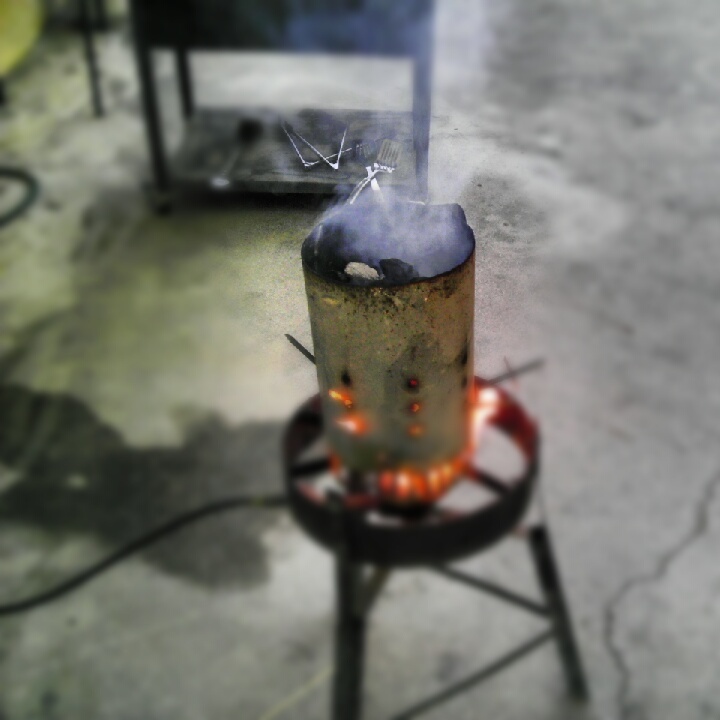 With all this jewelry stuff, I do find time to have some fun on the grill. Instagram makes everything look so serious with their various filters. 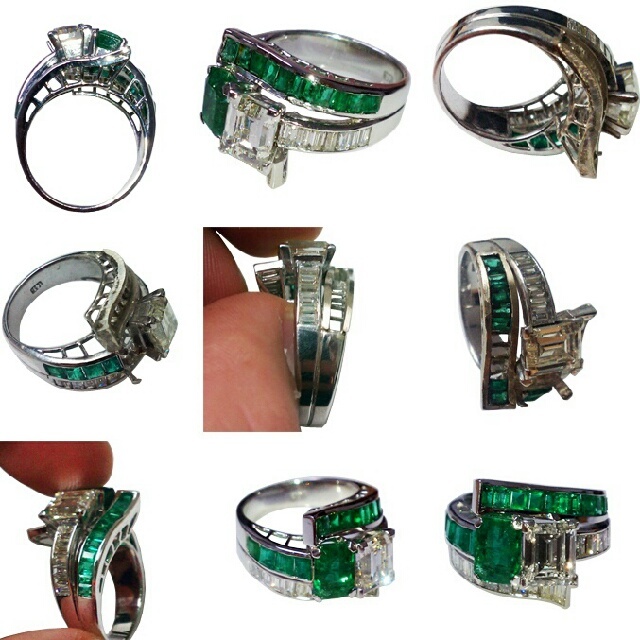 This was a step by step process of repairing the channel walls and repairing all the emeralds. There was no need for a filter here. 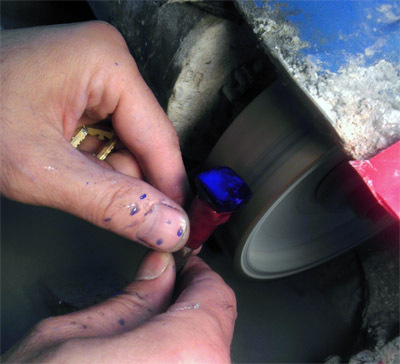 Just wanted to show how I incorporate gem cutting with jewelry repair work. And finally, saving the best for last. 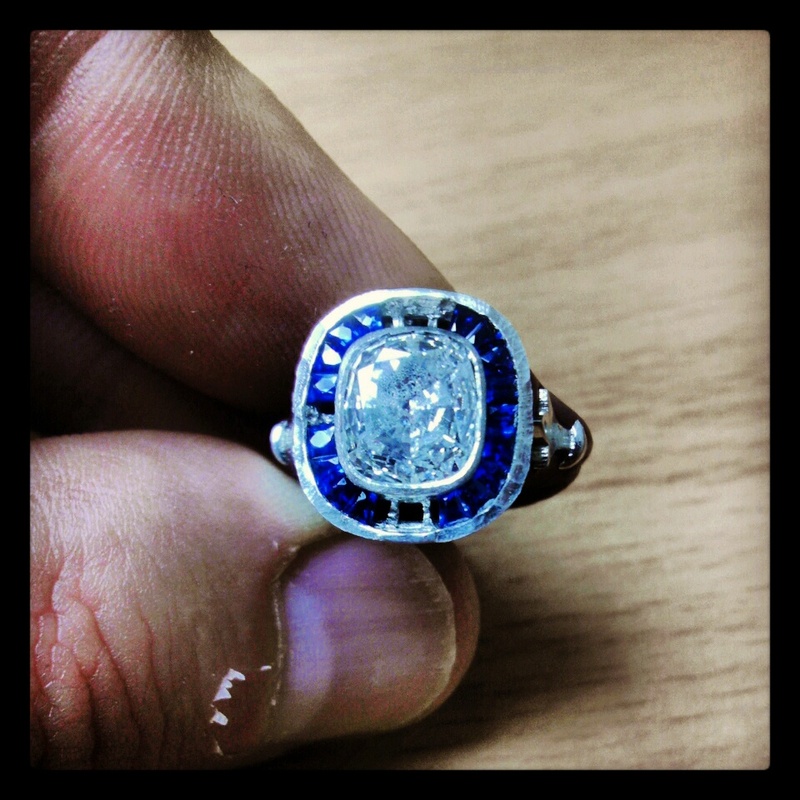 This emerald cut Emerald needed a high polish, oiling, and setting in this custom made ring. I could share more images but I picked a few out of the bunch. If you like what you see and would like to follow me click on the link here. 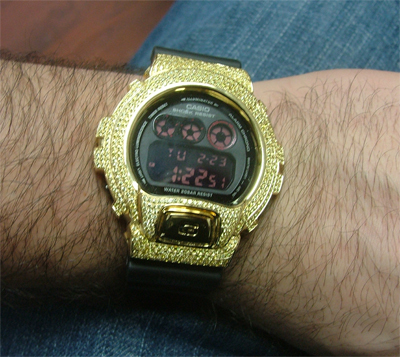 Look out for the next blog I’m simultaneously releasing with this one called, “35 gram Emperor”. This is by far the biggest lag I’ve had between blogs. I promise to put them out more regularly. Hope you all had a good and safe 4th of July everyone. I’m just going to start this edition of my blog with some of the stuff I’ve been fiddling with in my shop. So let’s get straight to it then, shall we? 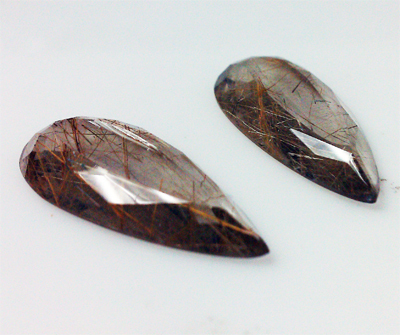 So I’ve been cutting some onyx into these earrings for a designer that I shouldn’t really mention on my blog (the photo is my only hint to who it is.). The onyx sits into the channel with a slight angle. 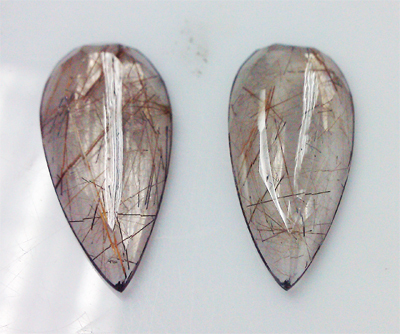 In order for the onyx to sit into the slot, I was forced to slide it in from the side rather from the top – the normal side when it comes to inlay lapidary . 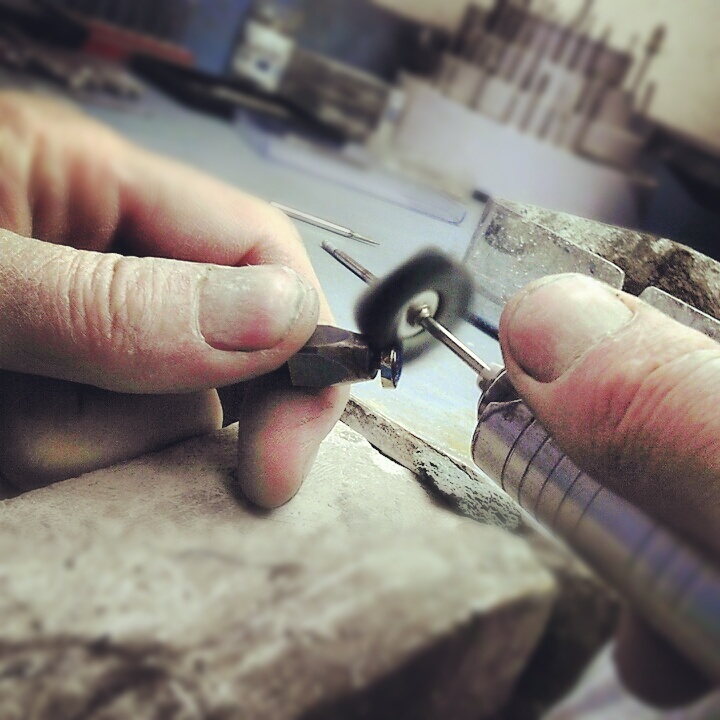 Once the onyx sits into the channel, I start the process of lapping the onyx flush with the piece. So I got this yellow gold ring that needed some a new enamel applied to the side of the shank. 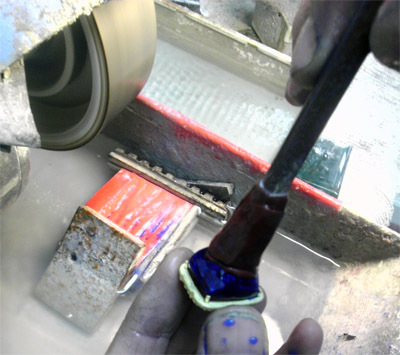 For those who aren’t familiar with enameling, it’s the process of heating powdered glass at temperatures between 1300 to 1500 fahrenheit, which causes the powder to melt, flow, and harden. 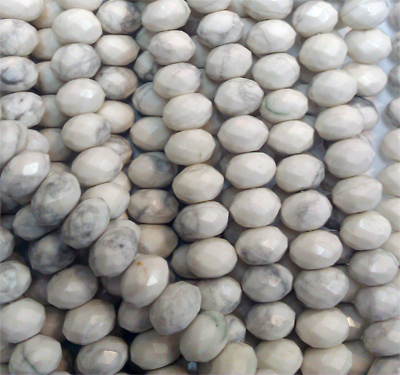 Color is added with various minerals in the mixing process. 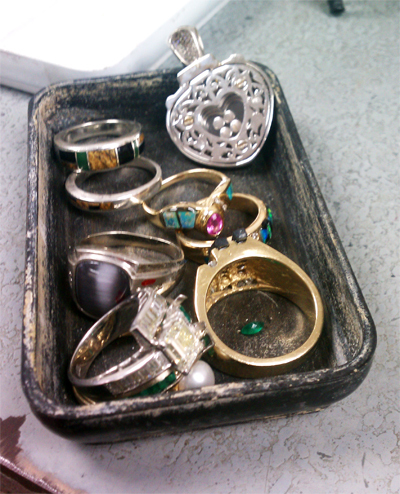 I’ll get into more enameling talk some other time. 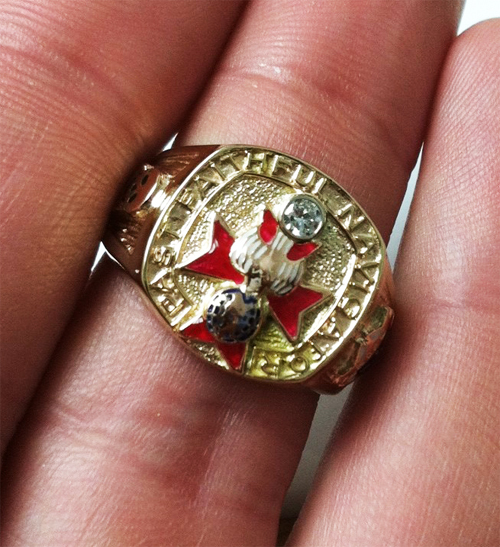 So basically we need to remove all the old enamel and re-enamel the middle area of this ring with the same colors to match the original colors that were put into this ring. The red enamel with the blue dotted area showing the detail of the work and the whites in the hands was just half the work that was needed. 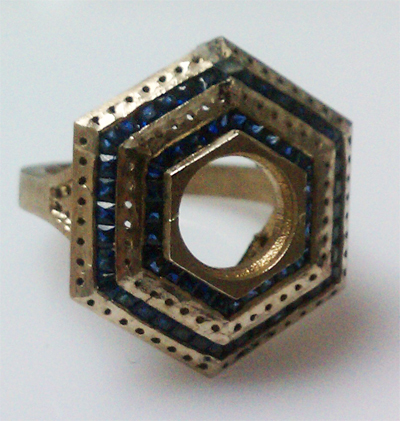 My customer needed blue enamel filled where the writing wraps around the top of the ring. 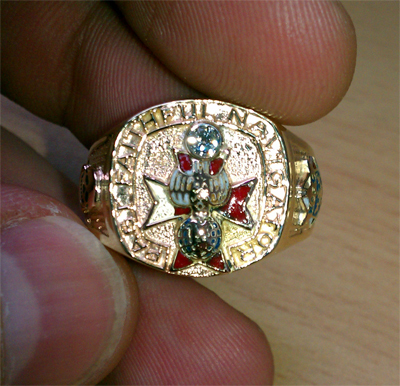 The ring came out great and the enamel gives it that pop which brings out all the details that are on top of this ring. Apparently, this is ring has some religious undertones, which seem pretty interesting. So this customer wanted me to cut some onyx and inlay it into the white gold frame with a dome cut and then add facets on top. (Yes, it’s shaped like a bear). 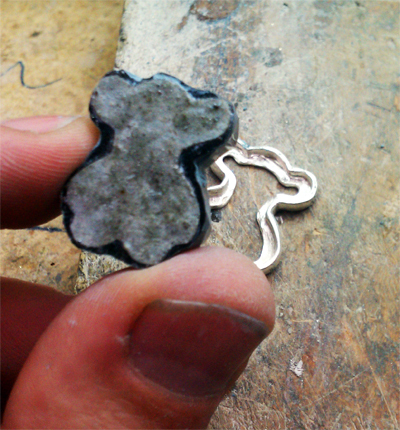 The white tape on top of the onyx is my guide to make life easier until I get my hand tool and put the details into inlaying this onyx shaped bear to fit into the white gold piece. 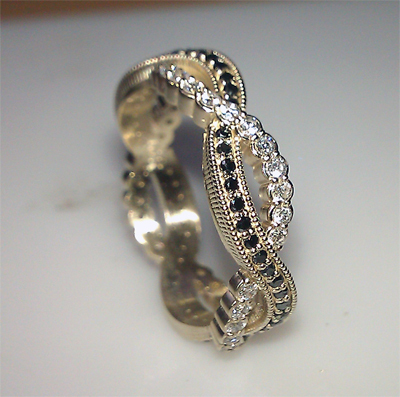 I received this white gold diamond ring with onyx inlaid around six pieces of princess cut diamonds. 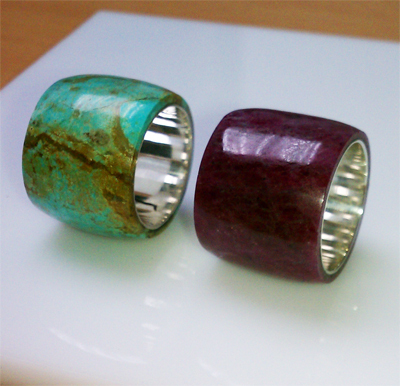 This is tough to do and you’re bound to break a few of the onyx pieces when you attempt to inlay it into the ring. 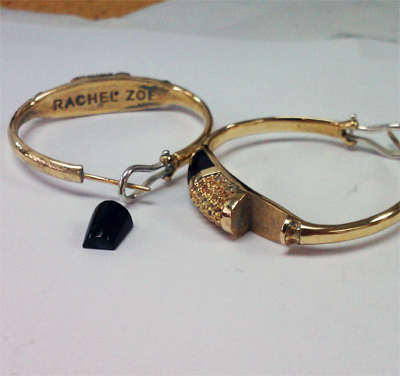 On the bottom of this picture, there is the old onyx that was inlaid previously by me about 10 years ago maybe? 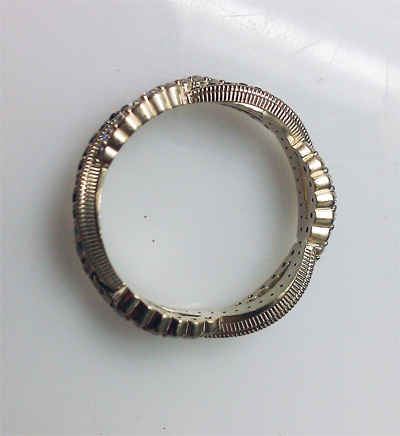 I’m impressed this ring lasted this long. These are actually old ‘Simon G’ rings that I used to inlay back in the day so It was a surprise to see it come in for repair from a different customer 8-10 years later. 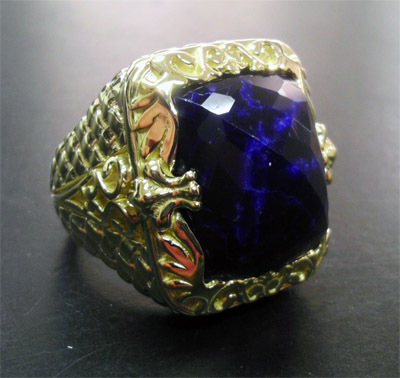 This stunner of a ring with a gorgeous antique look I’ve been working on needs elongated sapphires that I need to cut into each side of the shanks to be set. Should be fun and I’ll keep you posted on that one. This is my little tray of stuff that’s in process. 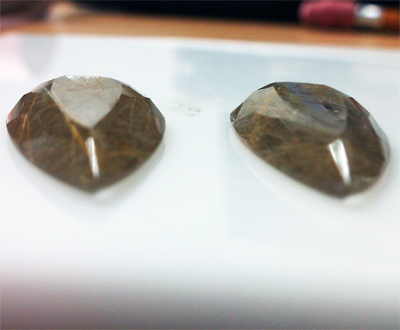 There is a heart shape pendant that I’ve cut two pieces of crystals with loose diamond bezels that sit in the middle, between the crystals for the pendant. 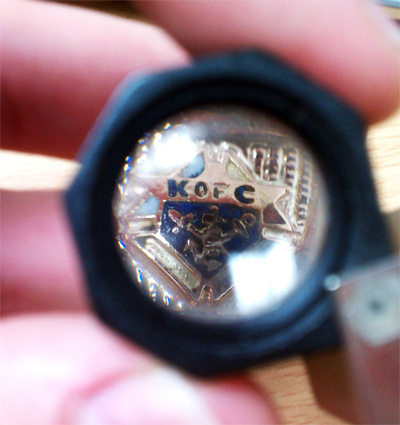 There’s some inlaid rings that need to be lapped flush with a high polish finish. 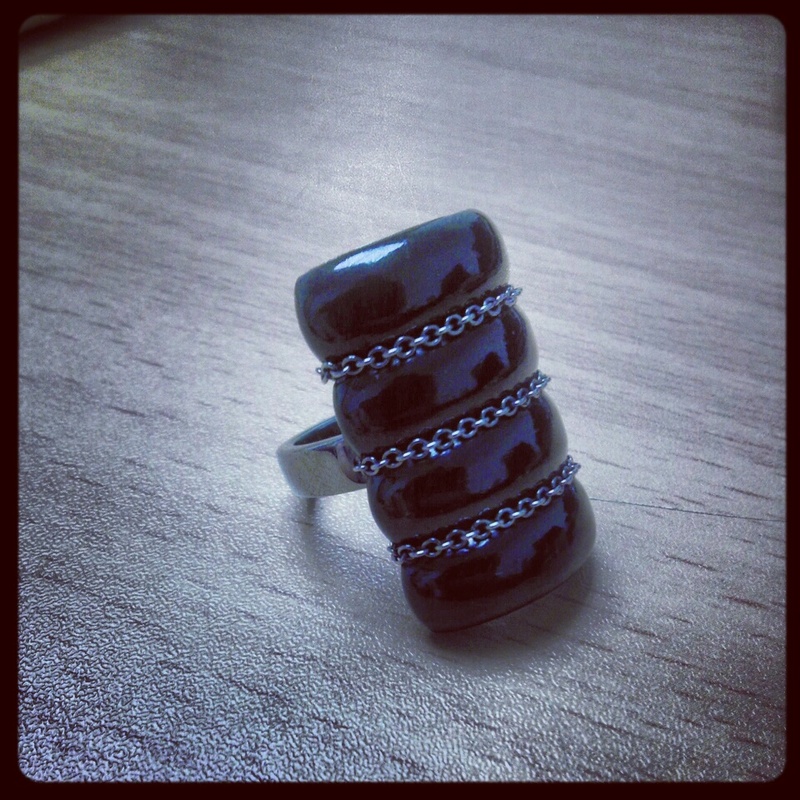 A Black star sapphire that needs a nice polish to get that star shining in the middle. 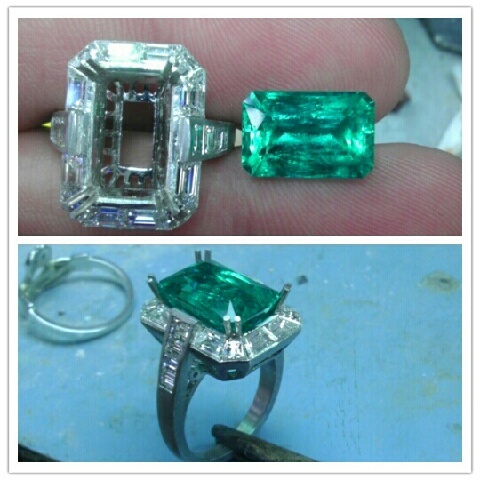 And an emerald and diamond ring that I’ve been working on. 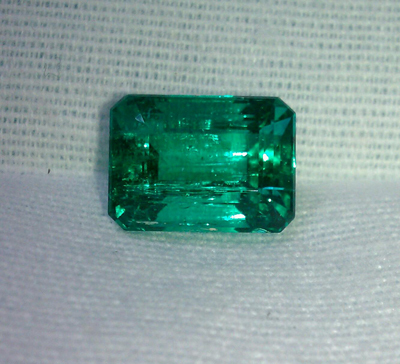 I rebuilt the channel holding the emeralds and supplied new emeralds and set them in. I’ll blog about that soon. 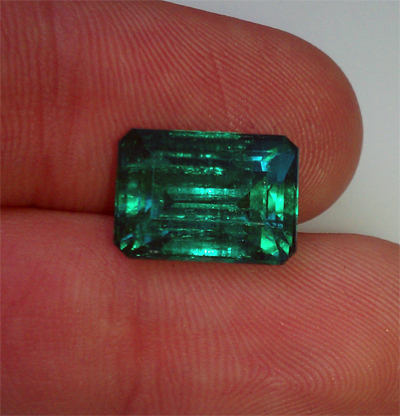 This octagon shaped emerald cut emerald is a thing of beauty. 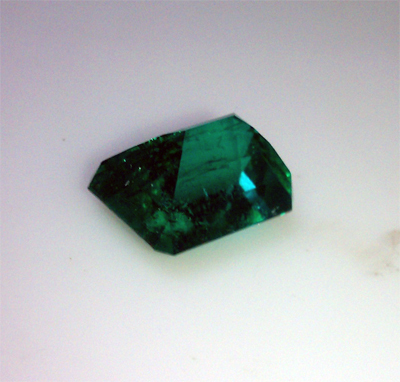 It’s about 11 carats in weight and my customer wanted me to polish the table and crown facets of this emerald. 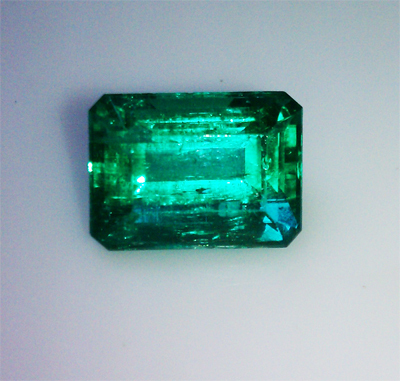 After I polish it, I was asked to oil the emerald to bring out that Colombian color that makes it such an expensive stone to own.